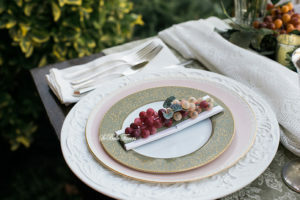 We were honored to be a part of a wedding shoot hosted at Milago Winery in Ramona, CA. 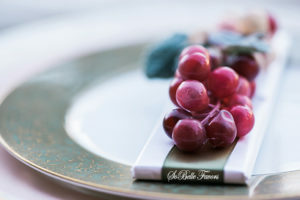 Our contribution was the beautiful favors that we decorated with grapes and olive colored ribbon, perfect for the Italian theme. 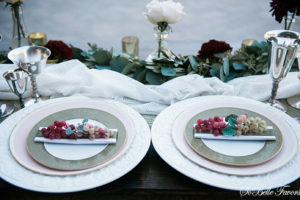 They matched perfectly with the serving china and the cake! If you like what you see, please contact us so that we can create something unique and beautiful for you!